· Mondays (bi-weekly), 6:30-7:15pm – Parcel 8 – MSL Pilates: Ali Baldassare from Move SWEAT Love with Ali will lead you through her signature Pilates Fusion Bootcamp class with spin live beats to keep you energized, moving & motivated! The class is a fusion of creative cardio drills, classical pilates, and innovative core exercises designed to challenge, strengthen, & tone your entire body to get that rockin’ summer body & keep it! It’s a perfect way to start the week fresh! View more information. · Wednesdays, 5:30-6:30pm – Parcel 8 – Yoga Hub Boston: Happy Hour Yoga: Try this healthy way to celebrate the end of your work day: good-vibes and vinyasa yoga on the grass on The Greenway. More information. · Wednesdays, 6-7pm – Parcel 10 – Next Level Fitness & Wellness Training: You’re invited to a FREE Group Fitness Training series of classes to be held weekly on Wednesday evenings at the Rose Kennedy Greenway at the corner of Cross St and Hanover St. The class will be held from 6p-7p. This class will test both your conditioning and muscular strength. All are welcome! More information. 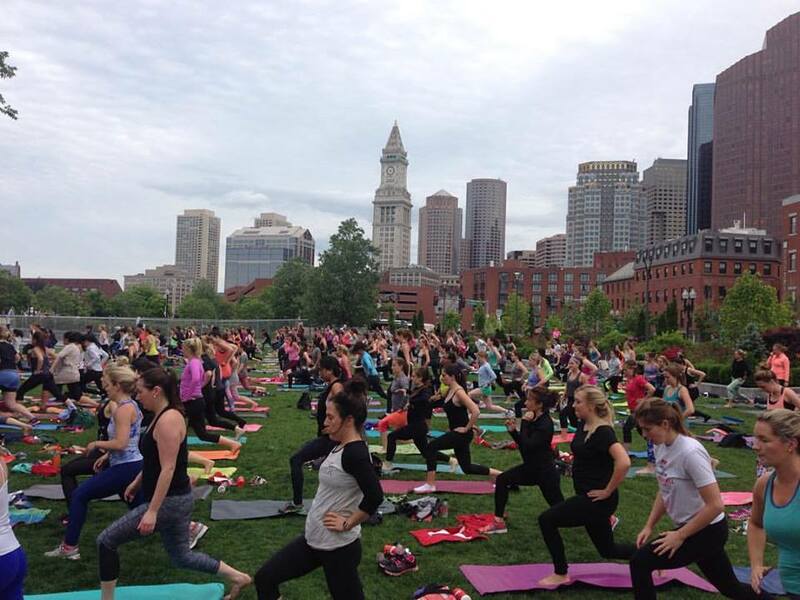 · Saturday, June 25 – Parcel 8 – Rise and Shine-Free-Luna Bootcamp & Yoga Event: Luna, Beantown Bootcamp & popupasana Yoga have joined forces to bring you a FREE morning Bootcamp and Yoga class! Join Luna Bar in celebrating the launch of our NEW Berry Greek Yogurt protein bar with a 45 minute Beantown Bootcamp class followed by a 45 minute PopUpAsana Yoga class. More information. · Tuesdays, 6-7pm (TBD) – Parcel 10 – Republic Fitness Bootcamp: Republic Fitness will hold free 60 minute outdoor bootcamps for the community. · Tuesday, July 26, 5-6:30pm – Parcel 8 – Reebok CrossFit on The Greenway: Get a FREE CrossFit workout with Modell’s, Reebok, and CrossFit Southie. Join us for a one-time fitness event on July 26 from 5 – 6:30pm in the North End on The Greenway. RSVP required by (date TBD). Please arrive at 5pm to register and be ready to workout from 5:30 – 6:30pm. Are people supposed to know or remember which park is parcel 8 and parcel 10? —- just look for the crowd ! Kidding. But really, wait to see where these people gather. That’s what I’ll do ! that is not the point, When the expressway first came down the parcels were referred to by numbers. They are now parks with names. They should be referred to by their current name and not the number that the Transportation department gave the parcels when they were putting them out to bid. Why should anyone have to wait and see where people gather? Why not contact the transportation dept. about your issue? In answer to your question: many people would approach the Greenway and look for others if they do not know the way….it’s logical, and by no means, a weakness in the people…..or do you simply want to complain?